Algreen's Modena self-watering planters add refined elegance to your home. Available in high gloss or matte finishes and in a variety of sizes to suit a wide range of home decors. Manufactured using a proprietary engineered polymer resin with UV Inhibitors and is frost proof to protect from the elements. These sophisticated planters include an easy to lift internal plant liner with convenient telescopic handles to make planting simple. The large water reservoir supplies water to your plants as required and is designed to reduce watering frequency. The Modena's water-level indicator shows you when the reservoir needs more water, making it easy to grow beautiful plants and flowers inside or outside. Algreen's Modena windowsill and herb garden planters are also Pprfect as a center piece on a table or as a decorative accent anywhere in your home. 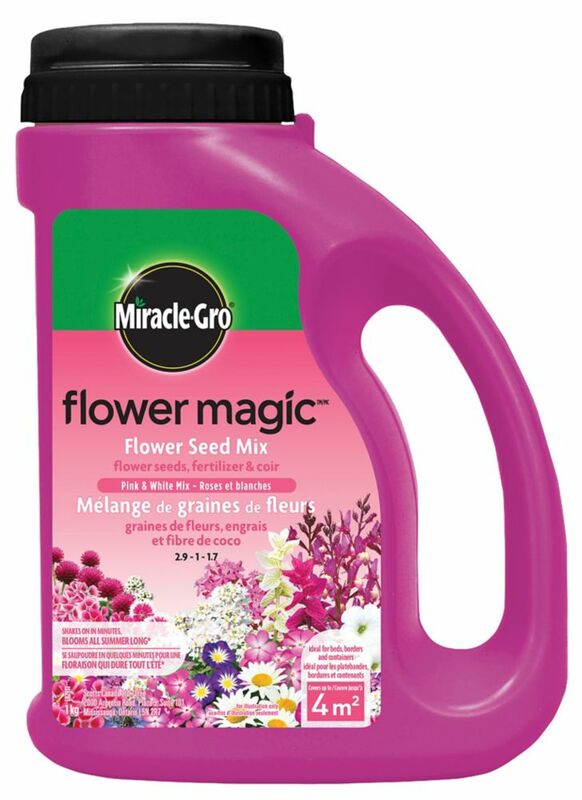 1 kg Flower Magic Pink And White Mix Miracle-Gro Flower Magic is the easiest and most convenient way to grow a beautiful garden. This unique 3-in-1 mix includes premium annual flower seeds, Miracle-Gro plant food, and coir compost that helps to absorb water and protect the seeds. Flower Magic Pink & White Mix includes up to 16 different seed varieties that will bloom throughout the season. Simply shake it on, water, and after 6 weeks you will enjoy beautiful flowers all summer long!